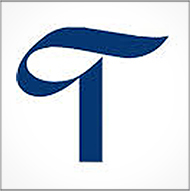 Topco Associates, LLC announced the appointment of two executives. David Negron, Vice President, Meat, Seafood, Deli & Bakery, and Clint Johnson, Vice President, Center Store Operations. 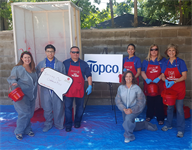 In support of Topco’s Core Value of Social Responsibility, I am excited to announce that Topco is joining the fight against hunger as a sponsor of The Salvation Army’s 2018 Food Box campaign. Topco Associates, LLC announced the appointment of Neal Berube, President and CEO of Associated Food Stores, Inc. to its Board of Directors. Topco Associates, LLC held its 2018 Annual Membership Conference this year on Monday, February 26 through Wednesday, February 28. During the two-day meeting, Topco honored members who demonstrated exceptional program partnership and commitment. Topco is proud to announce the following 2017 award winners. Topco Associates, LLC announced today the promotion of two executives, effective immediately. These appointments further drive Topco’s strategic objectives that bring additional value to its retailer and wholesaler members. 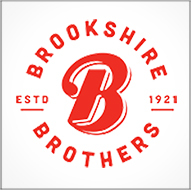 Topco Associates, LLC announced today that the Lufkin, Texas-based Brookshire Brothers, Inc. has joined the membership. 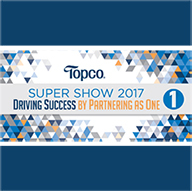 Topco Associates, LLC held its 2017 Super Show from May 23 through May 25. During the conference, Topco honored members and suppliers who demonstrated exceptional partnerships througout 2016. Topco Associates, LLC announced the appointment of Emile Breaux, President and CEO of Associated Grocers, Inc. and Dave Staples, President and CEO of SpartanNash Co. to its Board of Directors. 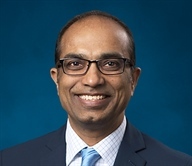 Topco Associates, LLC announced today that Mahipal Kunduru, Ph.D. has joined the company as Vice President, Quality Assurance. In this role Kunduru will be responsible for Topco’s Product Integrity, Regulatory Compliance and Quality Assurance groups. 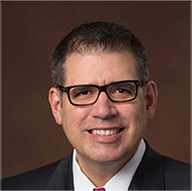 Topco Associates, LLC has announced that Chris Hooks, Senior Vice President of Center Store, Fresh and Supply Chain, has been promoted to the role of Executive Vice President. 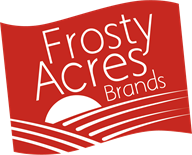 Topco Associates,LLC announced today that the Alpharetta, Georgia-based Frosty Acres Brands has joined the membership. Topco Associates,LLC announced the election of its 2017 Board of Directors, which took place at its recent annual meeting on February 28, 2017. Partnership provides Topco members and suppliers with better understanding of consumer shopping patterns and decision-making across the aggregate, helping drive business growth and gaining a sustainable competitive advantage. Symphony EYC, the leading provider of software and services for retailers, wholesalers and manufacturers, together with Topco, announce the establishment of an aggregated solution to provide Topco member retailers with both insights and reports to help drive ID store sales. Topco Associates, LLC recently held its 2016 Annual Membership Conference February 24 through 26. During the two-day meeting, several members received awards for their performance. 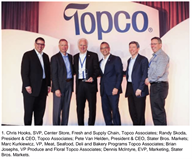 Topco is proud to announce the following 2015 award winners. Topco Associates, LLC recently held its Annual Membership Conference February 24–26. During the two-day meeting, Topco announced the election of its 2016 Board of Directors, effective immediately. Members of Topco’s Board of Directors serve a two-year term. Topco Associates, LLC announced today the promotion of two associates, Christine Heffernan and Jonathan Morse, effective immediately. These appointments will help the retail cooperative fulfill its mission to deliver even more value to its retailer and wholesaler members. Topco Associates LLC announced its 2014 distinguished group of Corporate Brand Best-in-Class Marketing Campaign Award winners at its annual Super Show held June 2 and 3 in Schaumburg, IL, attended by nearly 800 guests, represented by 47 Topco members and more than 400 supplier companies and featuring nearly 10,000 one-on-one meetings.